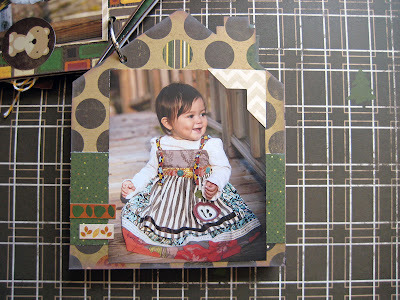 Today I am the featured designer over on the Bo Bunny blog. 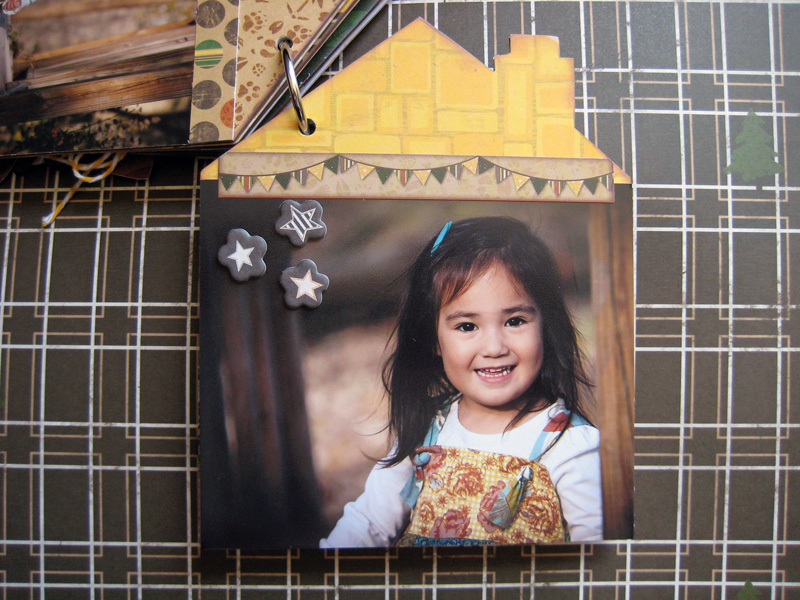 I have a mini album to share that I created using Bo Bunny Camp-A-Lot. Thanks for visiting! 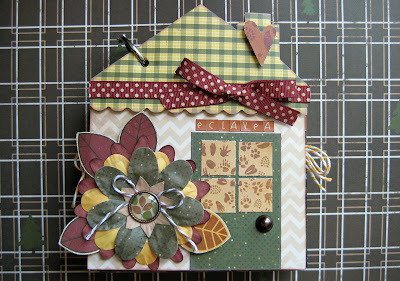 You can see more of my Bo Bunny projects over the Bo Bunny blog. Please stopy by if you get a chance! Thanks for everyone's wonderful comments and for participating in the Bo Bunny blog hop! So glad I found you, Sarah! 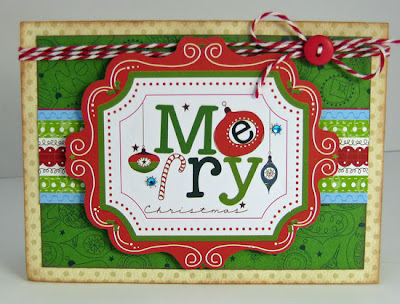 This card is darling...so festive, and the little twine bow really adds so much. I just became a follower, and am adding you to my reader, too. Love your work! 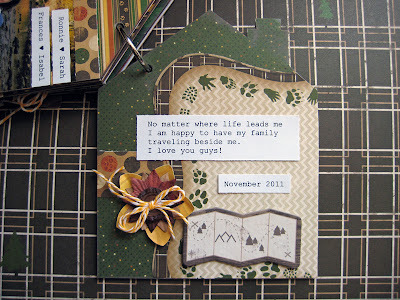 Email me at scrapcetera@aol.com with your mailing address and I'll get your prize out to you! Hi everyone! 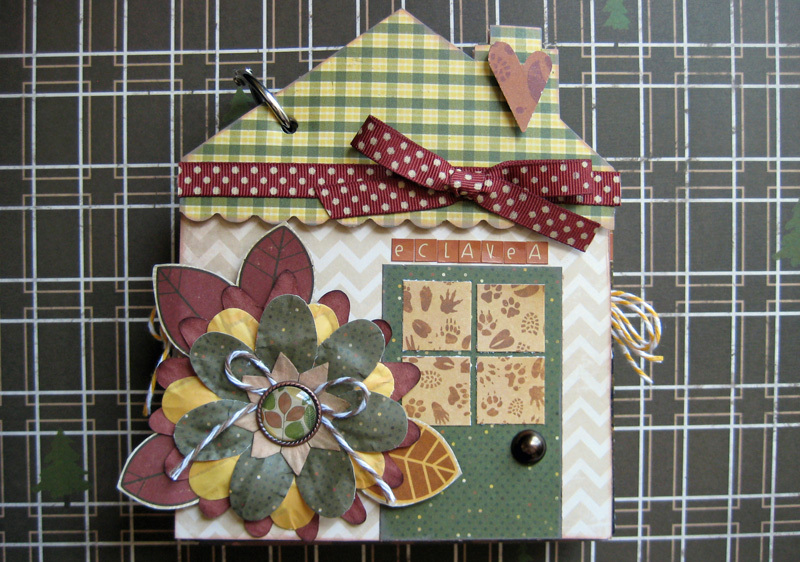 Since the blog hop still has a few hours left on the Bo Bunny blog I am going to postpone announcing my winner until tomorrow night! Sorry!!! Have a nice night! 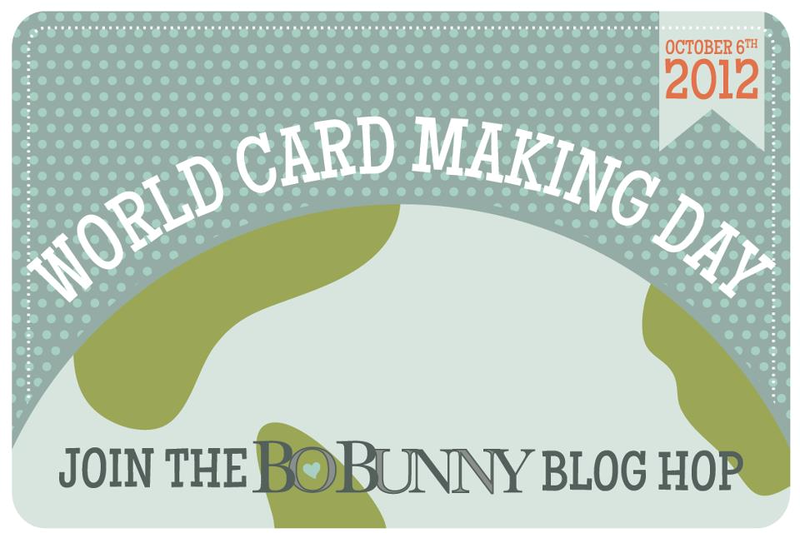 The Bo Bunny World Card Making Day blog hop is still going on! You can still find my "secret letter" and leave a comment to win the enchanted collection on this POST. 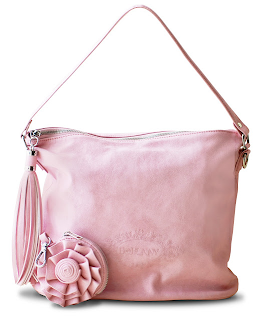 October is Breast Cancer Awareness month and to raise awareness and the get the word out Bo Bunny is giving out one of these bags every Monday this month. 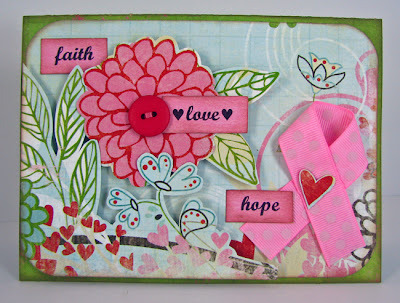 You can enter the give away HERE. Last year the DT made cards for friends and family who have been affected by breast cancer. 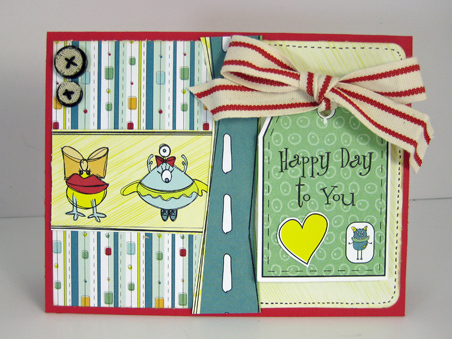 Hi Bo Bunny Fans! Hi Card Makers! 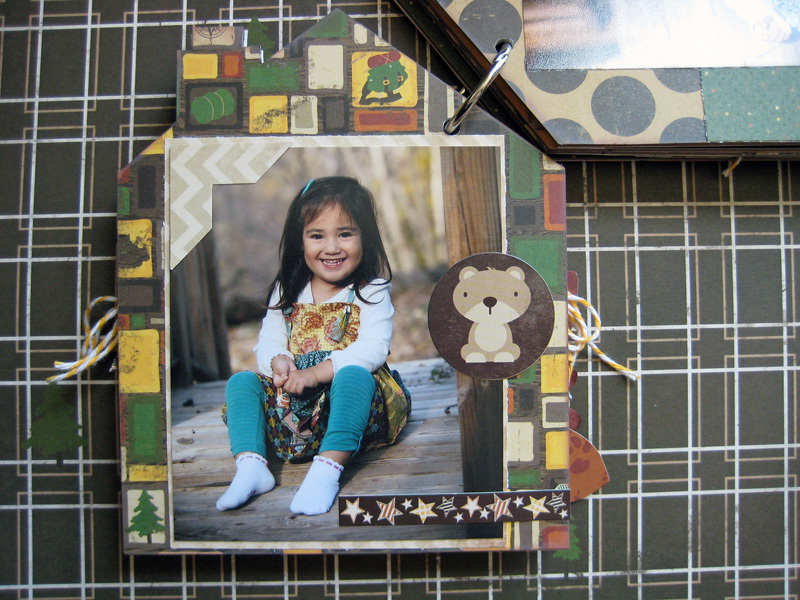 Hi Scrapbookers! Hi everyone who is here to visit me today! 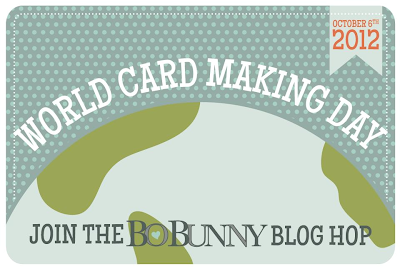 It is World Card Making Day and the Bo Bunny DT is celebrating with a Blog Hop! There will be lots of cards, prizes and fun along the way! 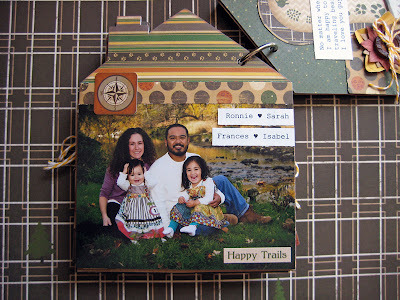 If you have hopped from the begginning you should have come from Tara's Blog. If you are just joining us, no worries! 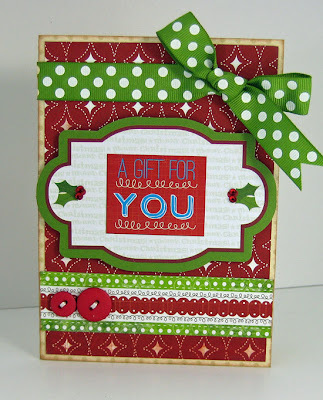 It all starts at the Bo Bunny Blog and hre is a list of the DT participating so you can see all the fabulous cards the DT has created! 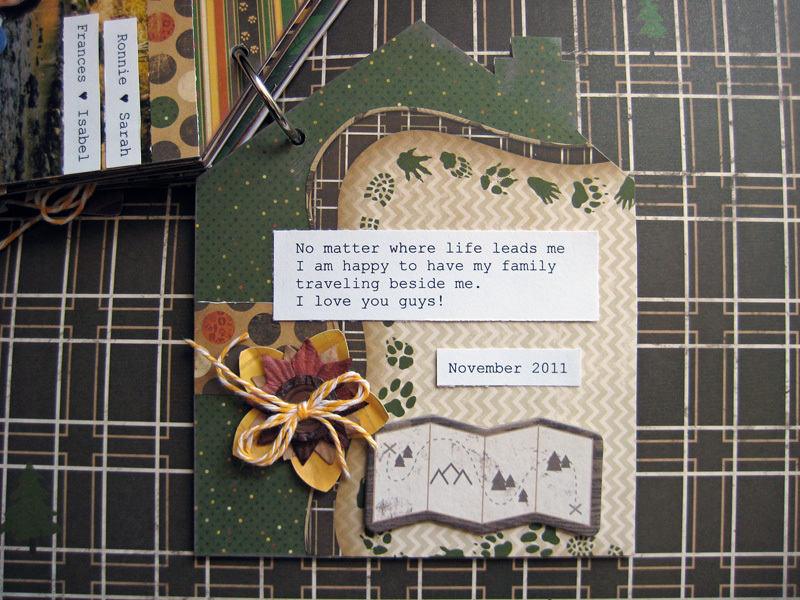 And to make things a litte fun each DT member was given a letter to share on her blog that spells a secret word! Visit all the blogs to collect the letters. You will then unscramble the letters you've collected and head back to the Bo Bunny Blog, click on the 'Email' icon in the right column of the blog and send them the secret word. 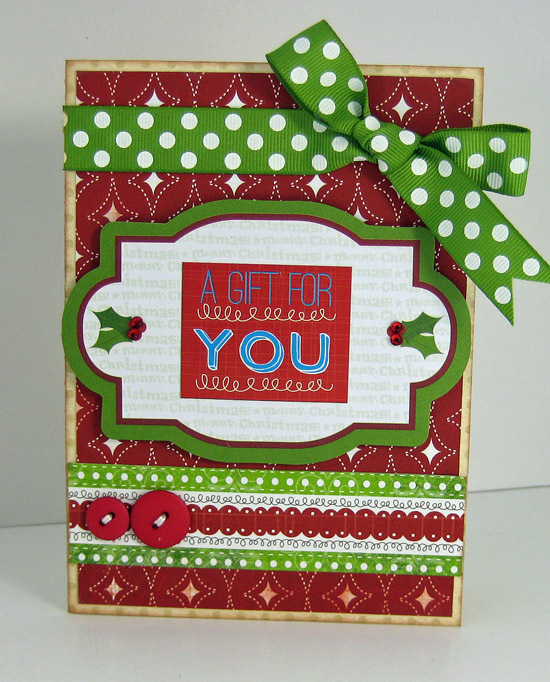 Now here are my cards that I created using the new Mistletoe Collection! I also have a prize to give away! 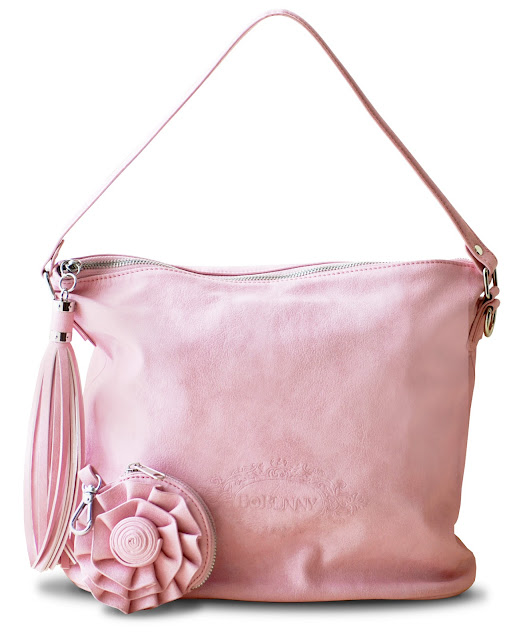 How would you like to win the Bo Bunny Enchanted Collection? 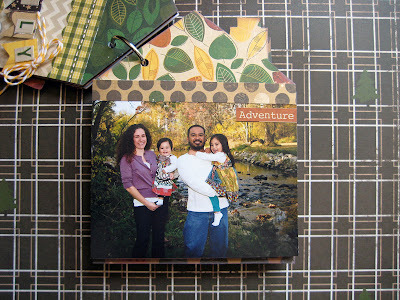 Become a follower of my blog and leave me a comment to win! Included are three sheets of each patterned paper in the collection, two stickers sheets, package of brads, stamp set, 6x6 mini pad, chipboard mini album, noteworthy, trinkets, embellished stickers, embellished chipboard, rubons, and 12x12 chipobard. You can see the Enchanted Collection HERE. Here's my secret letter. 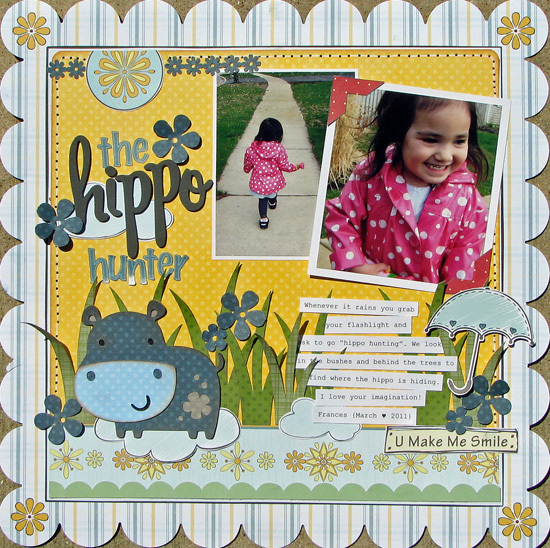 Have fun hopping! I am back! I haven't done back to back blog posts in forever! 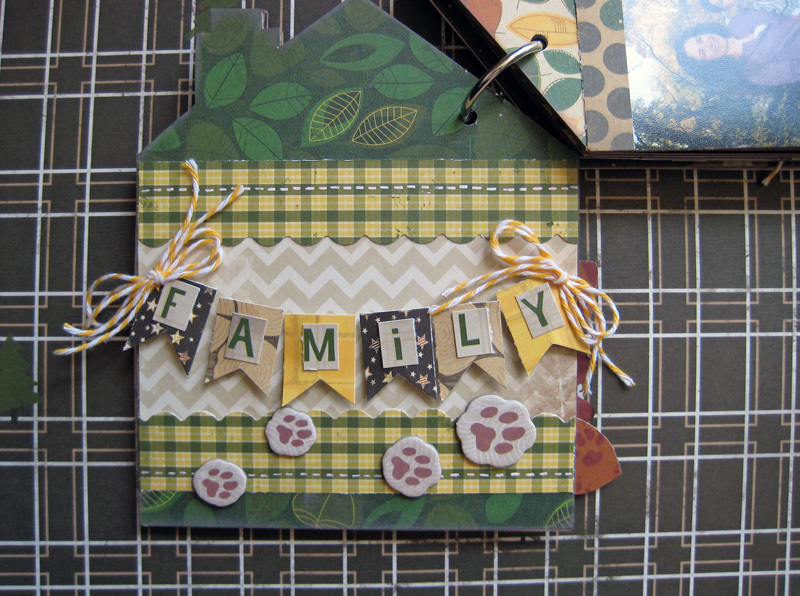 Today I am sharing two projects that were posted in Cricut Magazine and Cricut Idea Book Kids. 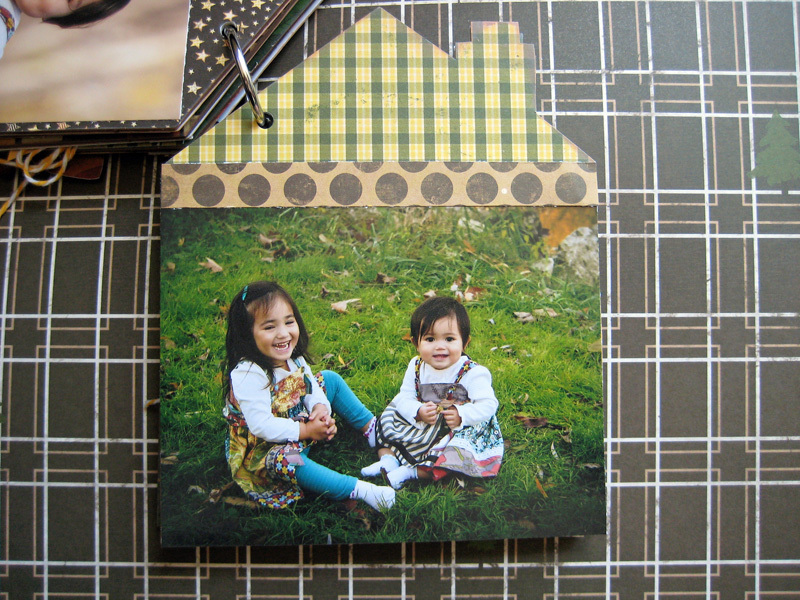 I used the Create A Critter cartridge on both layouts. My favorite cartridge! 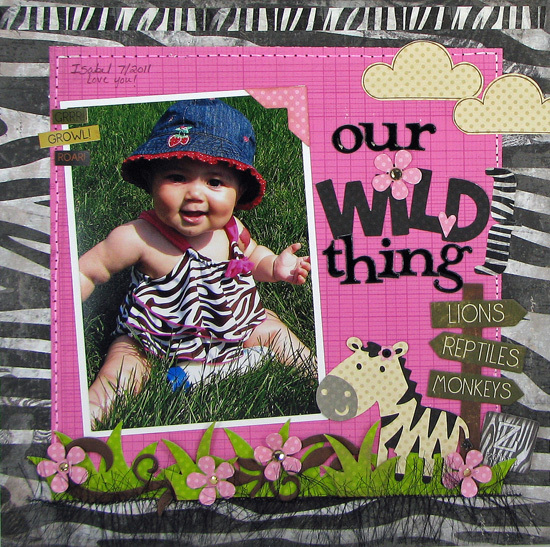 The first I created with Nikki Sivils' "It's Raining, It's Pouring" collection. 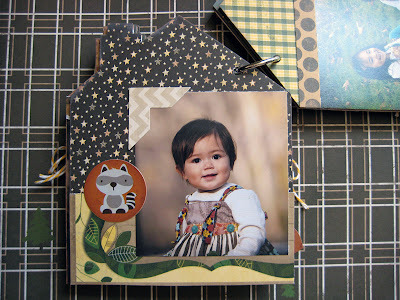 On this one I used Bo Bunny "Zoology". I can't believe it's October already! I am loving this fall weather! 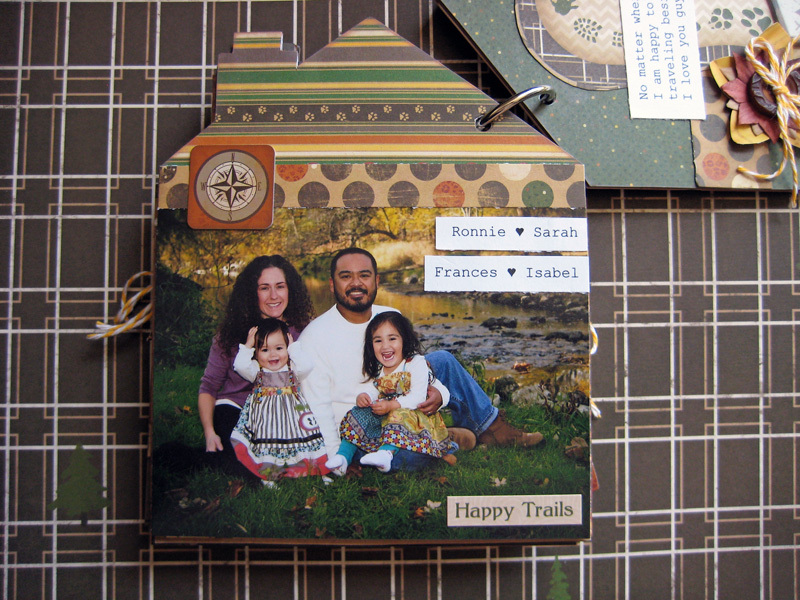 I have a few Nikki Sivils projects that I didn't get a chance to post last week. I used "My Lil' Monster" for all of them. LOVE that collection! Here's my daughter Fran having one of "those" moments. And here she is being silly! 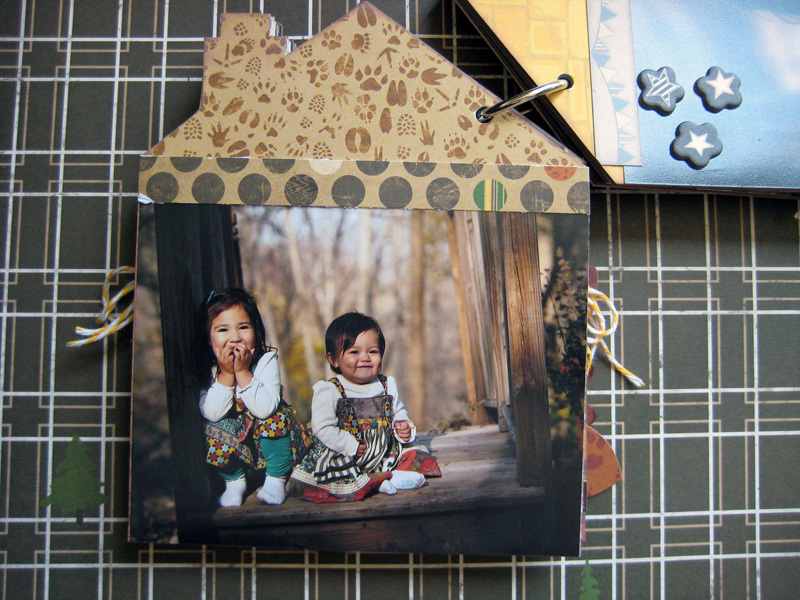 Lastly, a couple of cards for friends.